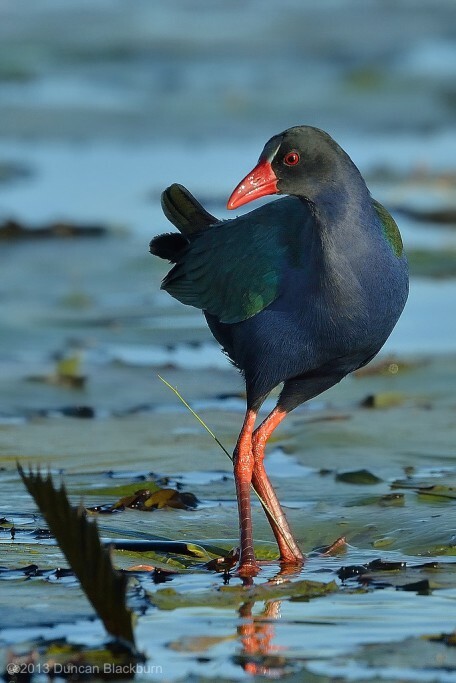 This little guy, sometimes referred to as the Lesser Gallinule, is an uncommon resident in Southern Africa and partial migrant to seasonally flooded areas. We found him co-habitating with the African Jacanas and Black Crakes in dense river reeds and water-lily fields. Like his co-habitants he can navigate these ares by walking along the densely packed water-lily leaves. This prime example of this somewhat aloof creature was captured in the early morning on the Chobe River, near Kasane, northern Botswana, Southern Africa. 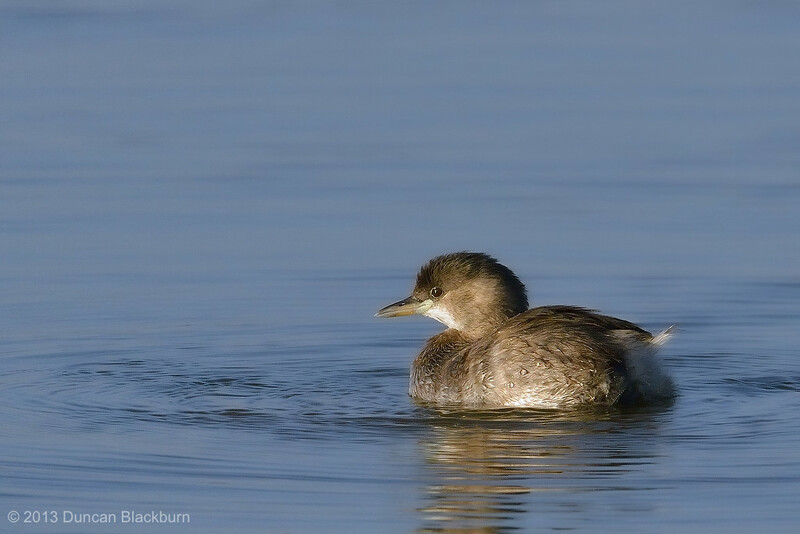 The Little Grebe (also known as Dabchick) is a small water bird with a pointed bill. The adult is unmistakable in summer, predominantly dark above with its rich, rufous colour neck, cheeks and flanks, and bright yellow gape. The rufous is replaced by a dirty brownish grey in non-breeding and juvenile birds. Juvenile birds have a yellow bill with a small black tip, and black and white streaks on the cheeks and sides of the neck. This yellow bill darkens as the juveniles age, eventually turning black once in adulthood. In winter, its size, buff plumage, with a darker back and cap, and “powder puff” rear end enable easy identification. This scene was captured at the Klein Namutoni water-hole, south of the Namutoni rest-camp, Etosha National Park, northern Namibia, Southern Africa. A fine example of this seemingly delicate bird. 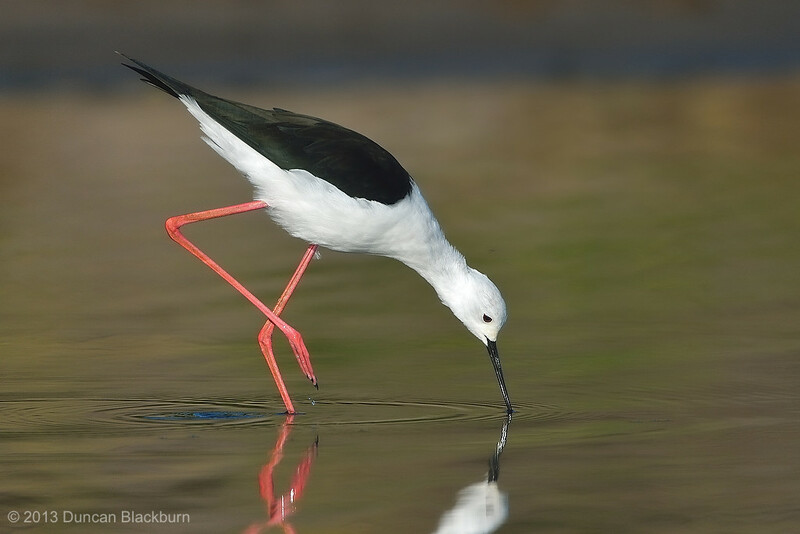 This wader is a local resident in Southern Africa. It builds its nest in estuaries, marshes, pans and flooded ground which it defends in a very vocal manner. This image was captured on the Chobe River, near Kasane, northern Botswana. 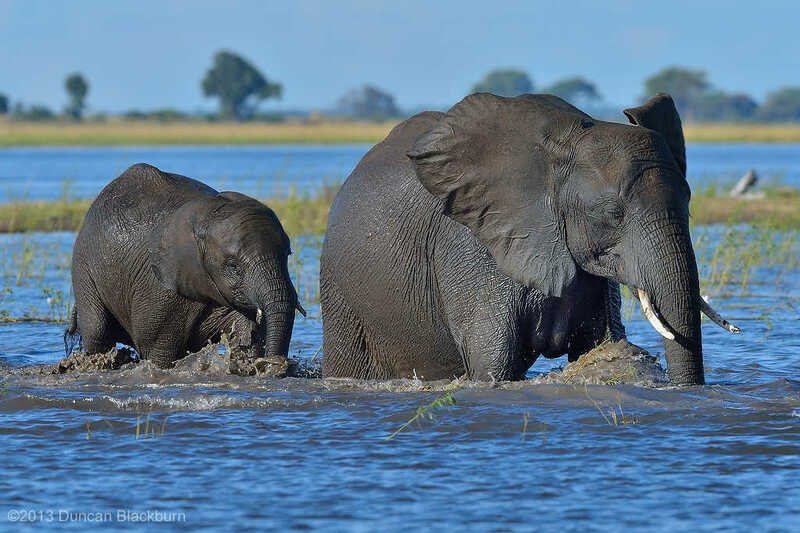 These fine examples of the African Elephant are wading back to the south bank of the Chobe River after enjoying an afternoon’s grazing on one of the many islands in the river. In an earlier post entitled “Speedy!”, I related the curious behaviour of the jacanas with respect to the raising of the young, viz., the fact that the male assumes this duty and the responsibility to protect the young against all dangers. 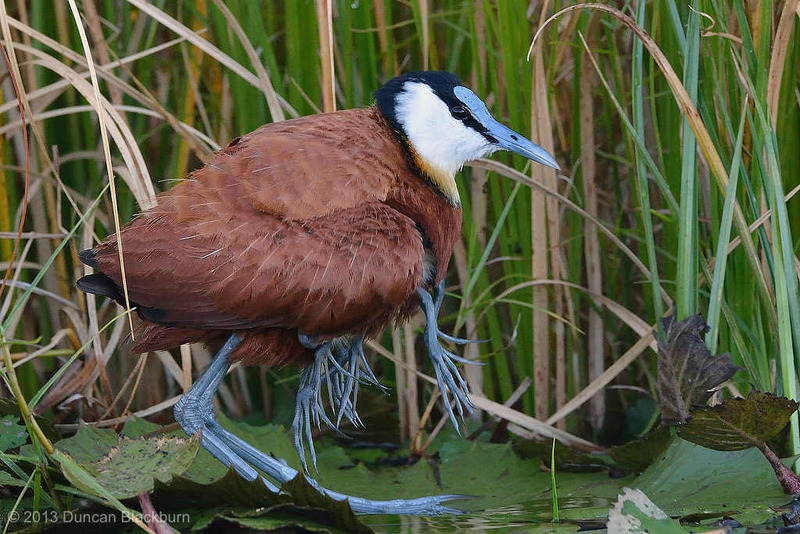 The male African jacana has therefore evolved some remarkable adaptations for parental care, such as the ability to pick up and carry chicks underneath its wings. In this image, a father can be seen doing exactly that! 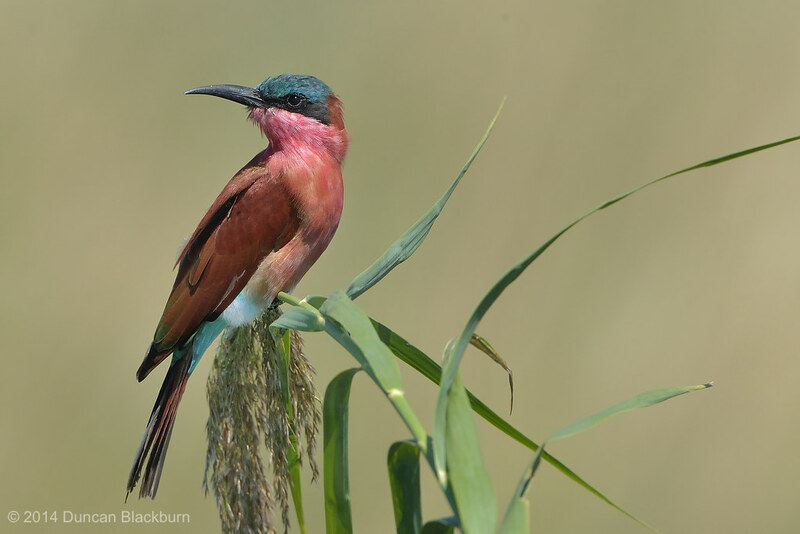 This sub-equatorial African species, like other bee-eaters, is a richly coloured, striking bird, predominantly carmine in colouration, but with the crown and undertail coverts blue. Its usual habitat included low-altitude river valleys and floodplains, preferring vertical banks suitable for tunneling when breeding, but readily digging vertical burrows in the level surface of small salt islands. This is a highly sociable species, gathering in large flocks, in or out of breeding season. 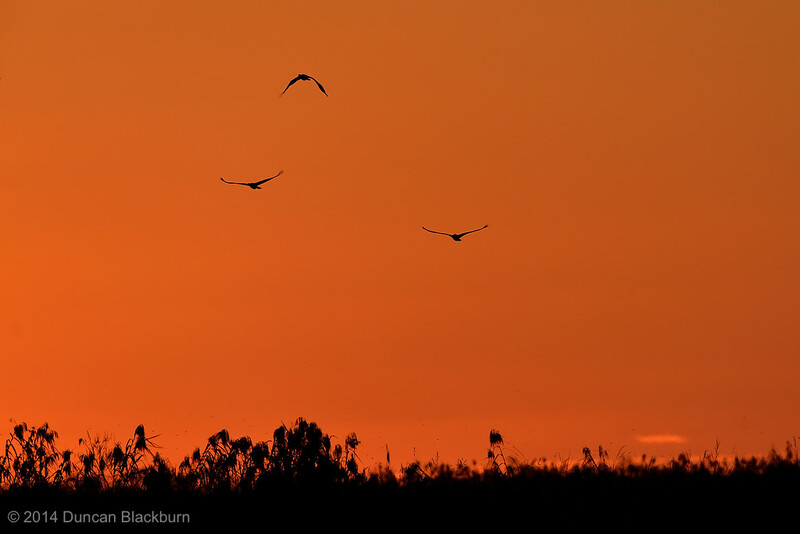 They roost communally in trees or reedbeds, and disperse widely during the day. Nesting is at the end of a 1-2m long burrow in an earthen bank, where they lay from 2-5 eggs. This is a migratory species, spending the breeding season, between August and November, in Zimbabwe, before moving south to South Africa for the summer months, and then migrating to equatorial Africa from March to August.